When you book with Kurt, you know you're getting the very best available for your event. He loves what he does and nothing makes him happier than seeing the joy on his clients' faces when they realize that they got everything they wanted and more. 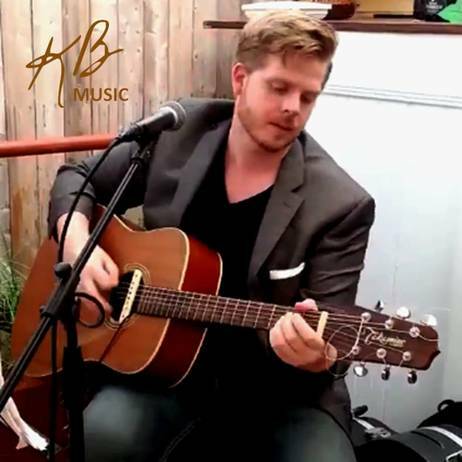 Whether you're getting married and looking for an emotional delivery for your ceremony music, having a corporate event and need the perfect soundtrack to impress your clients, or just looking for something to take your party to the next level, Kurt is the entertainment you're looking for. Please make sure to take a look at Kurt's reviews for first hand accounts from previous clients. AWARDED GIGMASTERS BEST OF 2018, 2017, 2016, 2015, 2014, 2013. All 5 star reviews. Kurt is an experienced DJ and can accommodate clients looking for a dance party after the live performance. Just inquire for more details and pricing! His song list spans across 7 decades (50's, 60's, 70's, 80's, 90's, 2000's, Present) and includes a diverse selection of genres from Rock, to Reggae, to TOP 40 Pop. If interested in having a female vocal accompaniment for your event along with Kurt, please inquire! Kurt works with Ashley Jana one of the premier vocalists in the country. Available for Wedding Ceremonies, Cocktail Hour, Intimate Wedding Reception Dinners, First Dance, Private Parties, Corporate Events, and Restaurants. Please fill out the form below with your name, contact info, and brief description of your event and date requests .Thank you. 2019 Kurt Borst Music All Rights Reserved.